It is a joy to become a fairy. 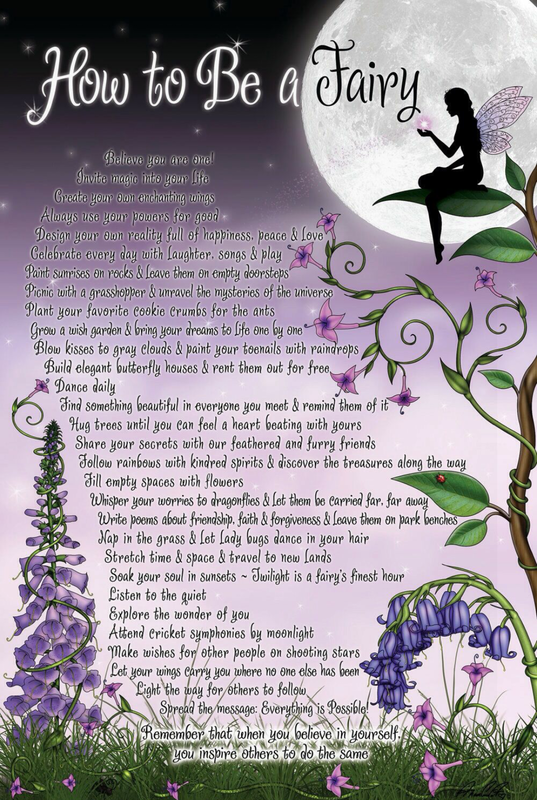 Recently we found a little poem with suggestions on how, exactly, to do just that- How To Be A Fairy! Thanks, pinterest and whomever wrote this sweet poem!! We used clean baby food jars (a warm bath in soapy water and a little elbow grease gets all glue and stamped numbers /letters off the jar! 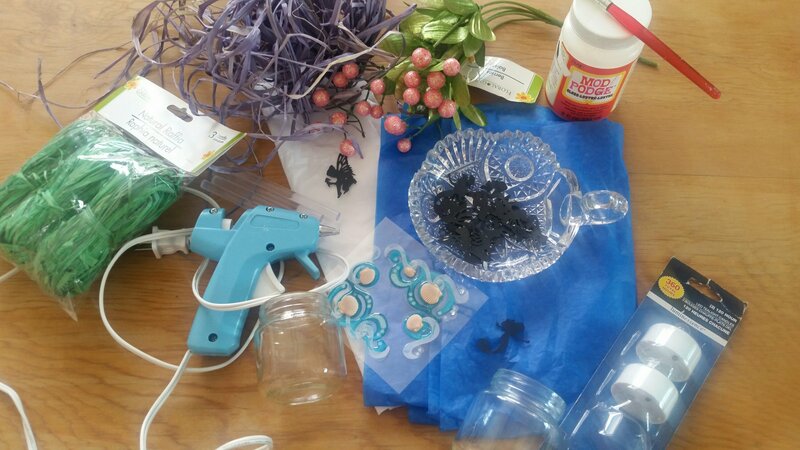 ), tissue paper (blue for the mermaids and white for the fairies), glossy mod podge, a paint brush, some hot glue sticks and a hot glue gun, decorative this’ and thats (raffia, nautical stickers and shells, fake berries and buttons) and some fairy and mermaid die cuts (I ordered mine especially for this project from the Pretty Packaging shop on Etsy). 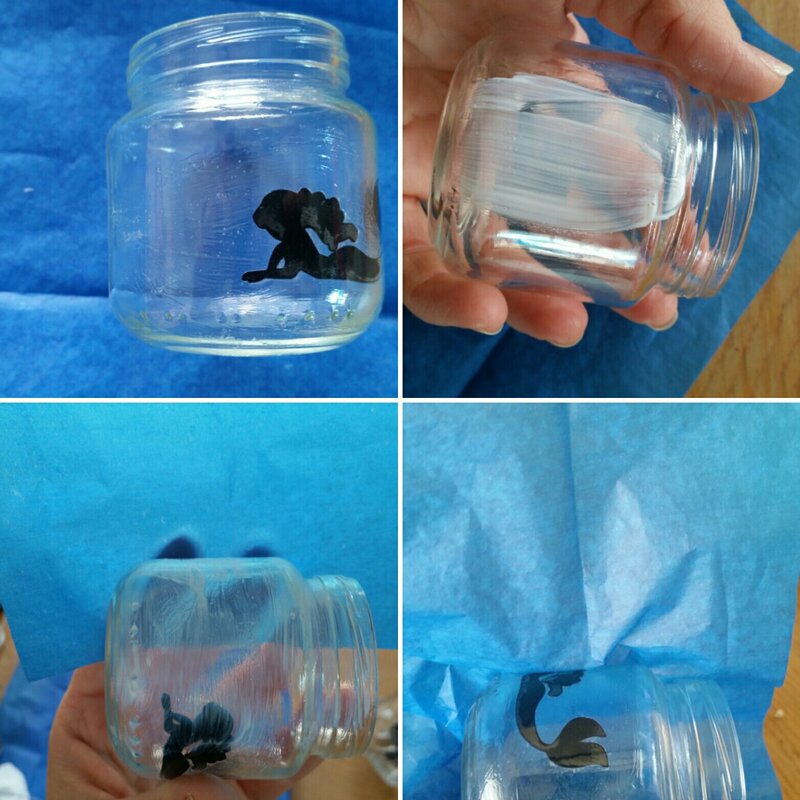 The first step is to mod podge the die cut into place on the INSIDE of the jar. I put plenty of mod podge on both sides of the die cut. 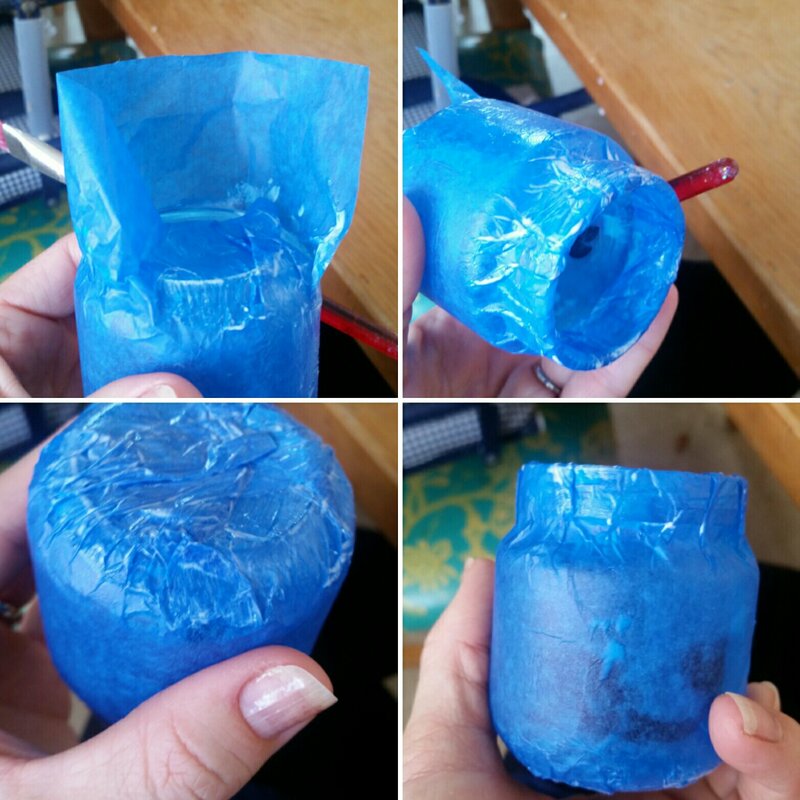 Next, mod podge the tissue paper in place around the outside of the jar. I just used a thin layer of mod podge on the jar and smoothed the paper down on top of it. 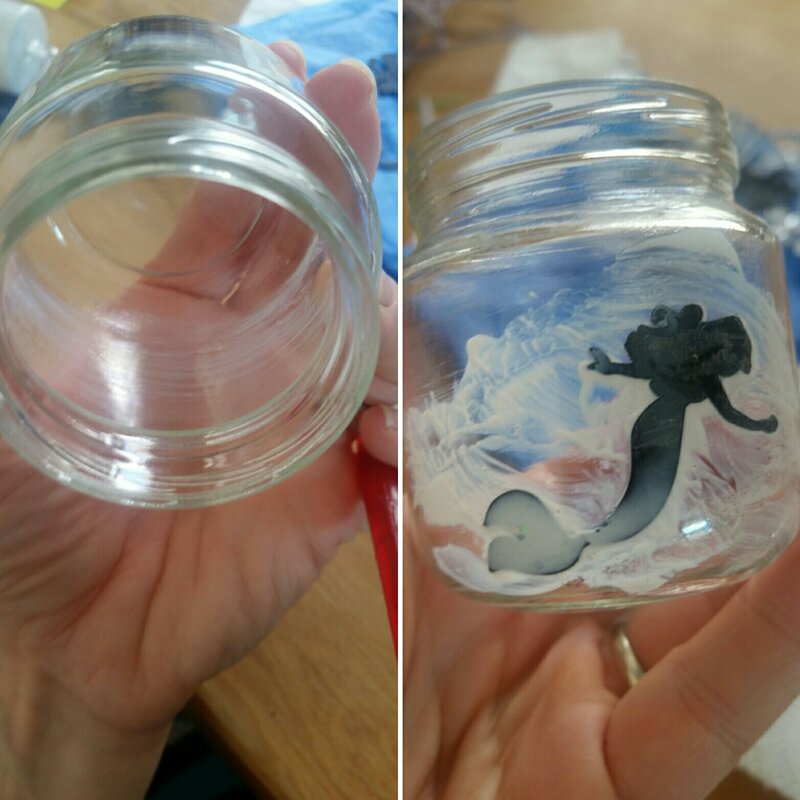 I made sure the “seam” of tissue paper was on the opposite side of the jar than the die cut for maximum mermaid/fairy visibility. I did not do a mod podge layer on the outside of the paper- no need to! Next I mod podged the tissue paper down on the bottom and over the rim of the top. Then I let it dry for a while! Now for the fun part- I hot glued some decorative raffia to the top rim and embellished with some of my crafty odds and ends! 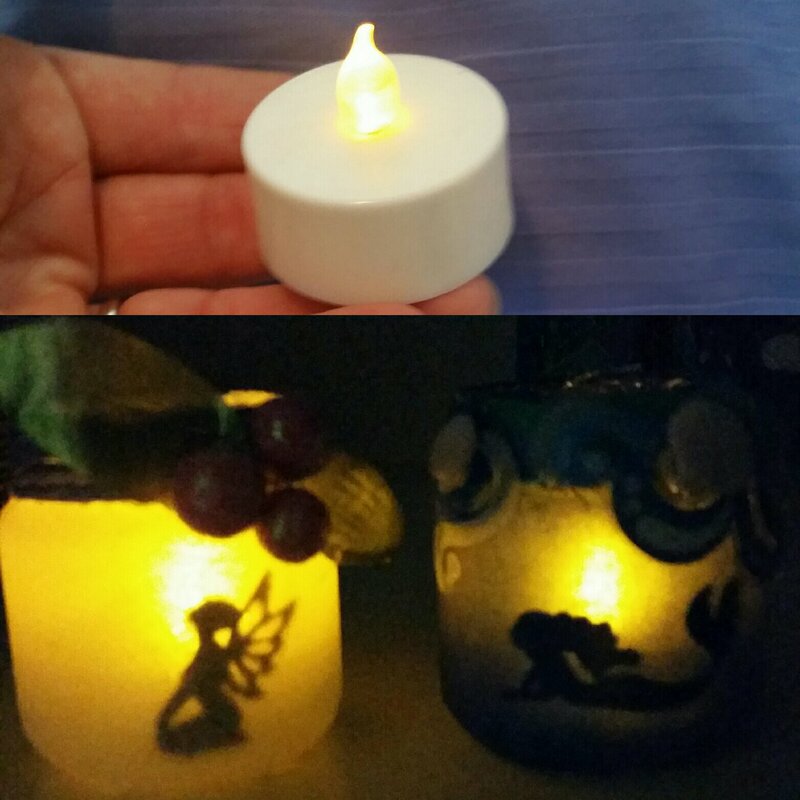 I added the battery operated tea lights (*remember not to use regular candles with these- its not safe!!) to these little lanterns. There they are- our little creatures, illuminated and magical. 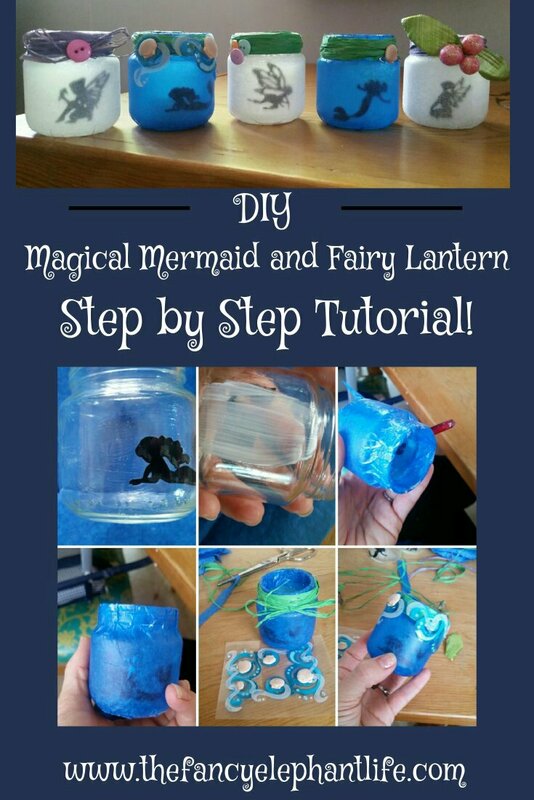 The perfect bedside table night light, slumber party favor, or just a fun, easy project for all those left over baby food jars! 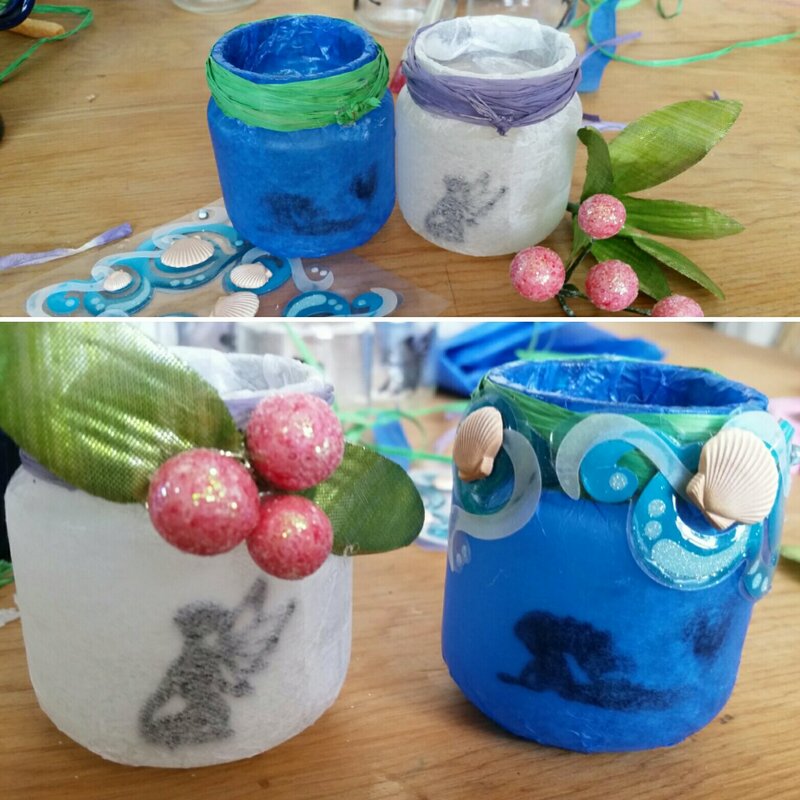 Do you have any other favorite baby food jar crafts? Please share! Thanks for stopping by The Fancy Elephant Life and have a beautiful day! Previous Post Get Creative With Dried Rose Petal Art! What a wonderful craft! This should be shared!! Wow, super cute and easy too!!! Thanks for sharing it. Have you heard of FunFamilyCrafts.com? I bet they would love to feature your idea!